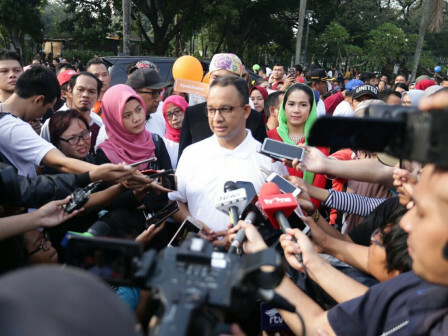 Jakarta Governor, Anies Baswedan revealed Jakarta Provincial Government has asked Transjakarta to add more buses throughout the corridor during the 2018 Asian Games.
" Transjakarta will prepare additional vehicles for citizens who to attend the Asian Games"
"Transjakarta will prepare additional vehicles for citizens who to attend the Asian Games," he expressed, after attending the Asian Games Parade in Monas, Sunday (5/13). According to him, the bus will be prepared starting from the points that will go to the venue of the Asian Games. Therefore hopes people who will witness the sport event do not need to bring a personal vehicle. "We also do this to parse congestion during the Asian Games in Jakarta," he stated.